The handlers of the Panoramic range are designed for the construction and industry sectors and offer unique technical and technological features. 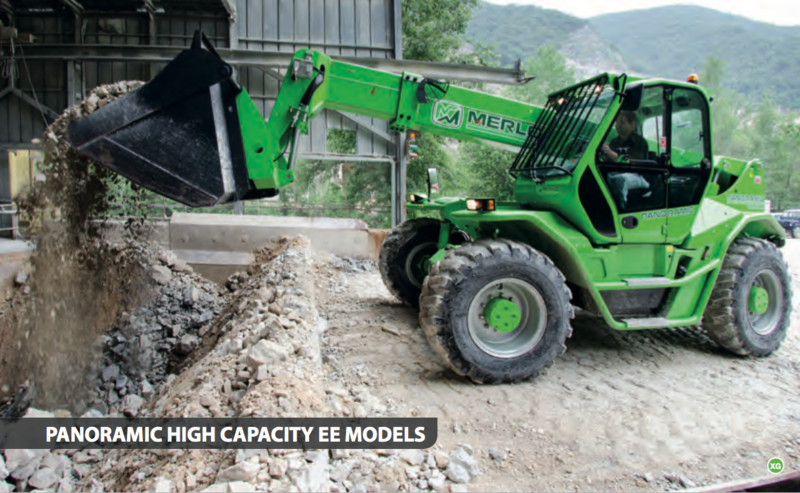 They can be equipped with stabiliser feet to increase performance and with the innovative Merlo CDC (Dynamic Load Control) safety system which further increases the level of safety without reducing performance. The Panoramic range is characterised by an enormous variety of models that range from compact machines (for those with space restrictions) to the high performance models to work in large building sites. The range includes 15 models, capacities from 3400 to 4000 kg, lifting heights from 7 up to 17 metres.